Entrusting someone else to care for your elderly loved one can be a scary thought. But by looking for quality elder care, you can have peace of mind knowing that your loved one is looked after with the same amount of love and attention that you give them. So how do you know what is considered quality elder care? These tips will help you know what to look for to find a quality elder care agency that will properly look after and care for your loved one. Start by listing off what you know your loved one will need in the way of care. Part of finding quality care is ensuring you choose an agency that will provide the services your loved one needs. Next, review what services are offered by the elder care agencies in your area. You might find a type of care your loved one is in need of that you didn’t know was offered in your area. Add any of these to your list to ensure that you find an agency that offers those services. Now that we have looked at the basic services of care, it is time to look at indicators that those services and care are part of a quality elder care program. One of the easiest ways to know that an agency offers quality elder a care service is that the public health department has licensed them. If the agency also has certifications from health organizations, such as the Alzheimer’s Association, this can also indicate that their care reaches or surpasses their quality of care standards. Care that meets these quality standards can ensure that your loved one will have no or little compounding health issues, such as contracting a UTI. An agency that performs background checks on their employees is a great safeguard for you and your loved one. Entrusting your loved one to the care of someone else can be scary, but knowing that an employee has passed a background check can give you some peace of mind. Please note that a background check will only flag what is on the record of the employee at the time the background check is performed. If an agency comes highly recommended by your loved one’s doctor, the local hospital or your family or friends who have used that agency, that is also a good sign that the agency offers quality care. Having a trusted source that has dealt with the agency first-hand can be one of your most valuable tools in finding a quality elder care agency. These personal experiences can tell you a lot about an agency and the quality of care it offers. These trusted sources might also be able to tell you which agencies they feel did not offer quality elder care, and therefore, which agencies you should avoid. Each individual is different and requires different care. A quality elder care agency will create an individualized treatment plan, customized to your loved one’s needs. This will ensure that they receive the type of care they need. You can get a sense of whether an agency offers this from referrals and recommendations from your trusted source and also asking questions when interviewing a potential elder care agency. Agencies that have specialists or experts for certain health conditions, such as dementia, can offer your loved one some of the best specialized care available. These caretakers and medical specialists can ensure smooth and knowledgeable care of your loved one, bringing you peace of mind knowing they are well cared for. The care of your elderly loved one will often be provided by a team of caregivers. It is important that the team be experienced and communicates well with one another. Everyone on the team needs to be on the same page when it comes to taking care of your loved one. When interviewing potential elder care agencies, or asking your loved one’s doctor for recommendations, ask how an agency helps their team members communicate with one another. For example, does the agency have technology that helps keep everyone on the team updated on changes in care, by the minute? Also, what are the qualifications that must be met to work at the agency? This will help you determine how experienced an agency’s employees are. Depending on the type of care your loved one needs (round-the-clock versus a few hours of companionship a day), it is important to know the availability of the agency. Does it offer a 24-hour help line that you can call, with access to a nurse? Does the agency handle coverage when the usual caretaker is sick or on vacation? These are important questions to answer. 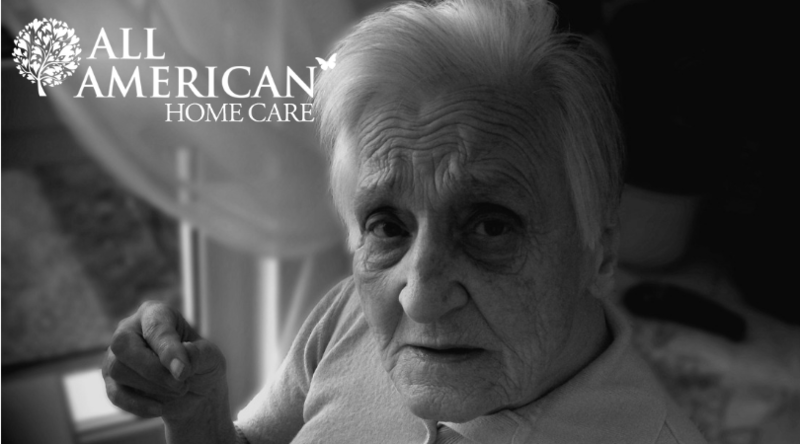 A quality elder care agency, depending on the services offered, should provide at least coverage for a caretaker. For agencies that offer medical care of your elderly loved one, 24-hour access is crucial to quality elder care. If your elderly loved one speaks a certain language, or is more comfortable speaking in a native tongue, it is important to find an agency that has caretakers who can speak that language. A language barrier can make it extremely difficult to provide quality care, no matter how amazing a caretaker may be. If your loved one has a form of dementia, note that they may slip back to a native tongue, even if they are currently comfortable speaking English. As dementia progresses, your loved one may use, for example, English and German, interchangeably. It may also get to the point where your loved one only speaks in German. If culture is important to your loved one as well, be sure to find an elder care agency that can handle this. You can do this when interviewing potential agencies, asking them if they have caretakers that can meet these specific needs of your loved one. Part of quality elder care is knowing that your loved one is receiving the same level of compassion and attention that you would give them. You should be able to get a sense of this based on referrals and recommendations from your trusted sources. When interviewing potential agencies, be sure to ask questions that can help you evaluate the overall attentiveness and compassion of the organization. You can also ask how they deal with employees that don’t meet the agency’s standards on compassionate care and, if you were to switch out caretakers, how that process works. The amount of compassion and attentiveness can often depend on the individual caretaker. You also want to make sure that their personality meshes well with that of your loved one. There is always some adjustment period as you and your loved one get to know your caretaker and get used to new routines. Once this period ends you find you are still not happy, contact your agency to switch out caretakers. If you find that you are unhappy with the agency overall, it is time to switch agencies. Quality elder care is a summation of many parts. You want to make sure that you hire an agency that meets health code guidelines and hires experience employees that are compassionate and attentive. If your loved one has special needs, quality care can also mean meeting those specific needs. Finding the right agency for your elderly loved one that offers quality care is a huge undertaking. But once you have hired an agency, it can provide you with peace of mind that your loved one is receiving top-notch care in a compassionate environment.